This 60 minute class teaches top rope belay technique, proper use of equipment, correct tie-in procedure for both climber and belayer, and basic communication between climber and belayer in a gym environment. Belaying is the “rope management” part of climbing. If you are new to climbing, or if it has been some time since you climbed and all you can remember is you tied some knots and used a “clippy thing,” this class is for you. It’s time to begin your journey into the vertical world of rock. -You must be at least 14 years of age to take this class. Class size: Limited to 10. Reservations can be made for a scheduled belay class on the day of the class only. If you make a reservation, you must show up at least 15 minutes prior to the scheduled start time, otherwise your reservation will be cancelled. If you are dropping in and wish to take a belay class it will be on a space available basis. The first half of this two-hour class begins with an orientation to the world of indoor climbing at Granite Arch and a full belay class (see above). 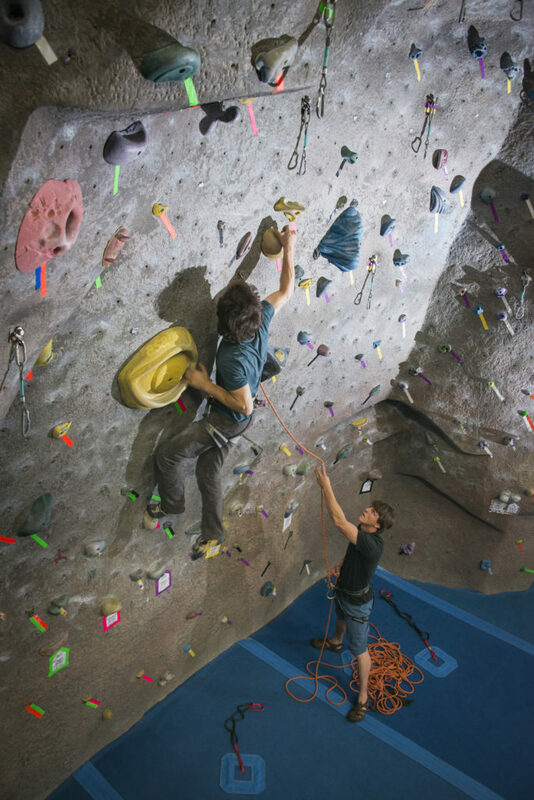 During the second hour students will be introduced to basic climbing movement and technique, and understanding routes and ratings in the gym. Class times: Flexible, but must be arranged at least one week in advance. Call to schedule time. 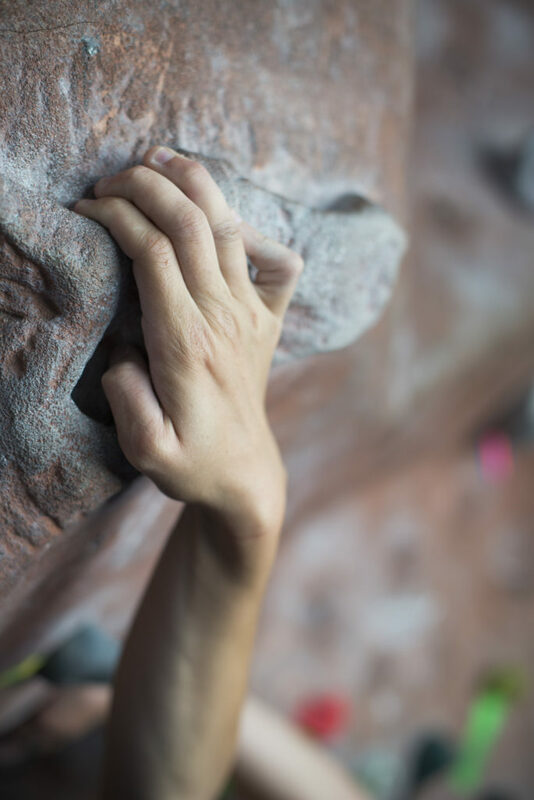 This two-part class will prepare you to enter a new dimension of climbing in the gym, and help lay the foundation for you to eventually experience lead climbing outdoors, on real rock! If you can on-sight 5.9’s in the gym, are fairly confident on 5.10’s, and are ready for the next challenge, then lead climbing is for you! In this class you’ll learn the proper skills needed to lead climb and lead belay and how to avoid developing bad and risky habits. Welcome to the Sharp-End! This first session is designed to introduce you to the fundamentals of lead climbing and lead belaying in a gym and when mastered will prepare you to take the lead test at Granite Arch. Skills covered include body positioning and technique for clipping, proper lead belay techniques, climber/belayer communication, rope management, and risk management. Class times: Second Monday of each month. Reservation required. This second session of the lead climbing series allows the student the opportunity work towards polishing and perfecting their lead belay technique and clipping skills learned in session one. You will also learn and practice how to properly take lead falls (while still on back-up belay). Almost the entire class is dedicated to climb time. Your instructor will refresh your knowledge of all the skills covered in session 1 and reinforce your awareness of risk management responsibility while critiquing your lead skills. Class times: Third Monday of each month. Verified with instructor upon completion of session 1. 50% deposit required at the completion of Session 1. A word about taking your lead test. Granite Arch recommends that you continue to practice your new skill set while mock leading (i.e. 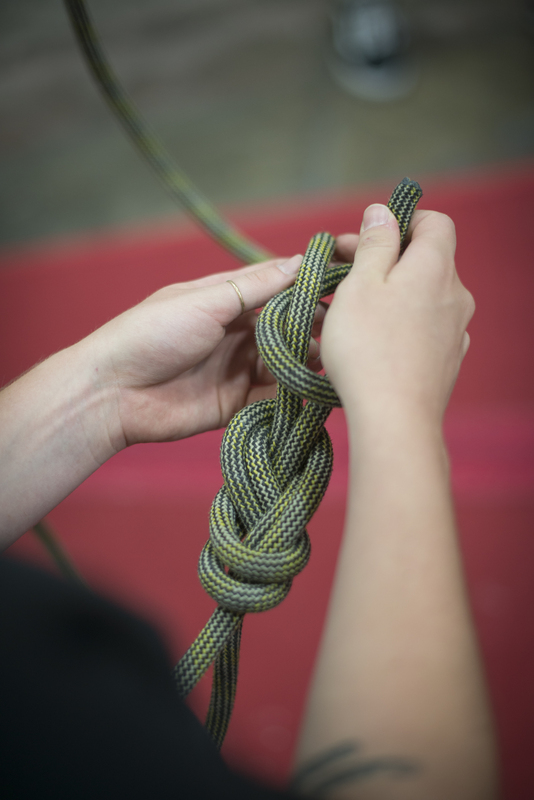 using a top rope back-up belay while lead climbing & lead belaying) at least one week after completing session 2 before attempting to take your lead certification test. Please feel free to discuss your readiness to take the test with your instructor.